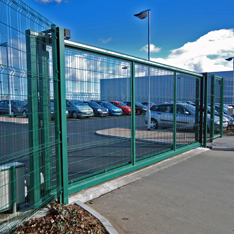 Is your car park costing your business money? To many, a car park is just a necessity, of which cleanliness is preferable but not essential. But that’s not how we look at it. In our experience, there’s a staggering oversight when it comes to the sanitary and aesthetic appearance of a parking space; particularly the ones designated for customers. And we have found that a dirty car park can impact the psychology of not only your employees but of your potential buyers. First impressions are important, remember. A poorly maintained car park not only looks unhygienic, it can be hazardous. Potholes, if left unchecked, are a brilliant deterrent to customers, and can cause unnecessary damage – of which you may be liable. Signs gradually become broken, faded, or jaded if they are left untended over the years, which can lead to ambiguity and confusion. If your car park is also the site where several large wheelie bins are kept then it’s not uncommon for an overspill of detritus to accumulate, which of course can encourage rodent infestations. In short, a bad car park is bad for business. And in the over two decades Dirt Busters has been in business, we’ve seen a lot of them. Fortunately, no car park is beyond our expertise to repair. If it’s pothole-patching, sign repair, graffiti removal, detritus removal, pressure-washing, or even good old fashioned sleeves- up sweeping. Customer satisfaction is hugely important to us and, as a result, no stone is left unturned. It doesn’t have to stop at the tarmac floor. Dirt Busters will clean your roof, business floors, rubbish bins, and air conditioning units, finishing off with a lick of paint to really bring about a transformation for the better. Our ability to transform comes from our use of sophisticated cleaning technology. These include, but are not limited to: floor cleaners, pressure washers, buffer machines, and industrial-specialised vacuums. Don’t worry about us, we have all the tools available to get the results your business deserves.